For Latest Deals Please send Message on our Whats app Support 0044 7404584512 iPhone 5S 32GB Unlocked Used Excellent Condition . Buy and sell your second hand iPhone 7 in the UK at free classified site obsads.com. Selling your iPhone is not specifically like to sell the stocks, but there is one major similarity—you want to sell when prices are high. When that's right before the next model of iPhone is announced. After that, everyone else is trying to sell the old one or interest switches to the next new models, and prices start to go down. If you have an extra phone, even an old one, you can sell your iPhone if you sell it ahead of the announcement than if you try to sell it after, but one question that Where to sell your phone for the best price? Retailers like online marketplace eBay.co.uk, Amazon, etc or free classified sites like ObsAds.com are popular for selling old phones, plus sell at the right time and you'll pay no listing fees. There are the following several things are always remembered, at least if you want to maximize the value of your old iPhone. And you do! The Apple iPhone that can be used anywhere, in any region, or any carrier, Whether an iPhone that can be bought by anyone. So, if your iPhone is locked to particular carrier and region, then find out if you are eligible to have it unlocked. f there is a charge, and it's not high, it could still be worth it to you to pay for the unlock since it could increase your resale value by an equal or greater amount. 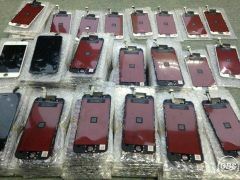 Take few days to process, and you'll want to make sure it works, and that's easiest to sell your iPhone on the market. Before selling your iPhone or do anything else, make sure you have an up-to-date backup of your iPhone. That way all your data is safe and secure, after buying the new iPhone, you'll be able to easily restore it on your phone. The software iCloud that is used to automatically makes a backup overnight, but if you want to take backup manually then make sure you're absolutely up to date. Once your data is safely backed up, after that important to wipe it from the iPhone, you're selling so your files, personal photos, messages, documents etc, don't end up as a surprise bonus for the new owner. Go to the setting, tap on general and scroll all the way to the bottom and tap on reset. After that tap on erasing all content and setting and tap on erase iPhone. Enter your Apple ID password to turn off Activate Lock and remove the device from Find my iPhone. Keep your iPhone should be clean and clear, because clean not only on the inside, also the outside as well. Take a few minutes carefully, considerately and clean your iPhone outside from all dirt, oil, lint, and other stains, debris, and even fingerprints. Pay extra attention to the seems and ports. If you are selling your iPhone 7 second hand UK yourself, then collect the dock cable, AC adapter, and even the original box, give you an edge over other sellers. Once you have everything, put it all, perfectly and cleaning in the box, and set it aside, so it's all safe and ready to sell & ship. On the internet, there are several different options for selling your iPhone, in which some websites are designed on the B2B platform and some are free classified that give the free unlimited ads listing. With the help of these websites the less work you want to do yourself, the lower the final amount you'll get for it. The response of online buying selling is quick and fast. 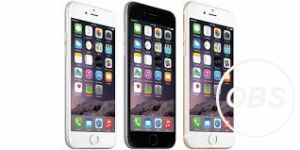 Best online Retailers like online marketplace eBay.co.uk and Free classified UK ObsAds.com are popular for selling iPhone 7 second hand UK phones, plus sell at the right time and you'll pay no ads listing fees. Amazon is the biggest e-commerce, B2B market place in all over the world, Amazon work world wide and top listed country has the own legal entity by Amazon. Millions of products are available at one big platform, and on the daily basis, all these products are updated by the vendor, company's trader or sole business men. Amazon will also take trade-ins, though their system is, freely, fantastic. Without any inconvenient, you will easily choose an exact model with match capacity and other details, If what you have isn't there, there doesn't seem to be any way to add it. eBay is another big platform for online buying selling platform. Millions of the user have used it and some people are run an own business on this site. eBay can net you more money for your second hand iPhone 7 but requires you to do invest the time and a lot of work with taking some risk. If you are comfortable handling your own sales and have to invest the time, you can get a better return than trade-in services. Craigslist is the old classified site in new digital form and all the wonder and dread that entails. The benefit of Craigslist is that you can sell locally or nationwide, face-to-face. That greatly speeds up transactions and reduces overhead like shipping. Never use your personal or home address in an ad. Price your second hand iPhone 7 competitively. 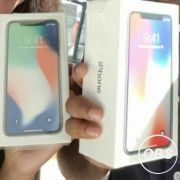 Find existing ads on ObsAds.com in your area for iPhones that are the same model, capacity, and condition as yours and price accordingly. If you're comfortable, include a personal number to call or text. It can increase the likelihood of a quick sale for second hand iPhone 7 in UK. Always meet in a public place, preferably in the daytime. Preferably bring a friend with you, just in case. Crosse verifies the emails, because of some the scams email by the fraud seller. If someone offers a lot more money to encourage you to ship them your iPhone, they're just trying to cut you off. 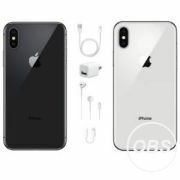 Buying a new iPhone is not a big task because of that hassle free most of the time; simply you go to the Apple Store or any reliable mobile phone shop and buy the brand new pin pack iPhone which comes with a warranty. On the other hand, if you want to buy the second hand iPhone 6 UK's retailer shop, or another gadget store, you have to check it from all aspects to make sure you are getting something which is worth your money. When you buy the second hand iPhone 6 UK, then you check it from all aspects because there are a lot of fake iPhone models out there on the market and sometimes it becomes really difficult to spot the fake iPhone 6. Sometimes you can get a genuine iPhone, but making sure that every feature of that set is working or not a terrible process. Or sometimes, you can miss something else and later you find that feature is not available or not working. There are the following checks list and small tests which you must perform on the second hand iphone 6 or iPhone 6s before buying it. At the end, we have written the whole conclusion for online advance buying and selling user who knows what to check before buying the refurbished or second hand iPhone 6 in UK. Although most of the major points we’ll be discussing here will be related to used or refurbished iPhone 6 second hand or all these tests are still valid for other models of iPhone like iPhone 6 Plus, iPhone 7 and iPhone 5s. The very first thing to check properly before you buy the used iPhone is its casing. Do not buy a cheap, used iPhone 6 if its body is scratchy, looks old and all shine of a premium device has dissolved away. One thing always remembers your phone damage or scratching body will not last your good impression on others. So always make sure that the set which you are going to buy used iPhone that is still shiny, and its look and feel is good and clear, there are no or at least only a few scratches on the body and screen is without damages and unbroken. The most and the major point to always make sure that which iPhone you will buy from the seller, that is real or fake like a copy phone. As we discussed in the start, there are a lot of fake new and second hand iPhone 6 UK's market and you can become a victim if you do not take care. If you are going to buy a used iPhone 6 or 6S from the private seller through free classified sites, you can read about the advance tips and completely know about the hacks for a fake and original iPhone 6 or iPhone 6S. Every cell phone companies have a unique serial number for mobile phone, which is used to identify that device. These codes help to lock the stolen device as well when we needed. The GSM carriers use the IMEI number and the CDMA service providers use the MEID number to identify the cell phone device. When you will go to buy the second hand iphone 6 uk or any other iPhone series phone, that are carrier locked because of non-payments or is locked because it was stolen. So you should check the IMEI or MEID on the back of your iPhone with the one embedded in the OS. Another deep point usually people avoid that point that the phone you will purchase is not a Stolen or locked iPhone. Go to the verify by Apple Activation Lock Status Tool, enter the IMEI or the serial number of your cell phone and the tool will tell you the status of the mobile phone. According to AppleCare Protection Plan (APP) that they are can't be responsible for the water damage, that's way No matter if you are going to buy the used iPhone with warranty or a new one. One thing must be check buying a second hand iphone 6 uk or any other old model, always makes sure that there is no water or liquid damage. All the latest iPhone models including the iPhone 6S and iPhone 7, 7plus come with Liquid Contact Indicator (LCI). An LCI will be turned RED as soon as the phone will come in contact with any liquid like water, tea or coffee etc. Another most important check by the buyer before buying the iPhone, You must take pictures with the used one and compare them with a new one, if possible, to see the quality of images. The camera of second hand iPhone 6 will give the same results as of the new iPhone 6 if it is in good condition. For the Smartphone users, especially iPhone users concerns to the battery life of cell phone, if a single user uses the iPhone normally, then A new iPhone 6 gives normally one and a half day of battery life. To check the battery condition, use all the features of the iPhone 6 together. Like, set the turn on the WiFi and Bluetooth, screen brightness to maximum, make a call of at least 3 minutes and start taking pictures and making videos quickly. If the phone's battery goes down very quickly and your device is getting hot, it is most probably because the battery is damaged. Among other important tests is to check the headphone jack and charging port, because sometimes it's not working properly. If the charging port working well, then it should start charging the phone immediately without any delay. Similarly, connect the headphone and start listening to music. You might have listened to music already on the second hand iphone 6 you are going to buy. But you should test the speakers, make a call and turn on the speakers to check them. Apple has recently improved the Touch ID feature in iPhone6splus, 7 and 7s. So you must check the Touch ID feature to make sure your phone is secure and working very well. The buyer should one important test to check at the time of dealing. Similarly, if you are going to buy a second hand iPhone 6S or 6S Plus, do check the 3D touch feature. The 3D Touch feature is completely different from Touch ID feature. When you buy the second hand iPhone 6, then you must collect the Apple’s USB cable and a lightning connector, the Apple ear pods, an AC adapter for charging, a SIM eject tool, user manual, and a couple of Apple logo stickers. So do check these accessories, you will get all these accessories in good condition. 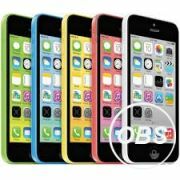 Find an iPhone 6 unlocked UK on ObsAds.com, the #1 free classified - online buying selling site for Apple iPhone, 3G & 3GS Phones for Sale in the UK. 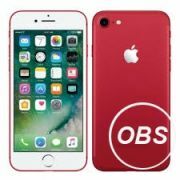 Many online users are looking to buy an unlocked iPhone 6 in UK, ObsAds.com is the largest place - where you will find the largest range of Apple iPhone series' device. Hover over the Mobiles, Phones & Telecoms category, and click on Mobile Phones and then click on the Apple iPhone in order to view all of the second-hand iphone 6 unlocked in UK, that is currently listed on ObsAds.com. That free ad for iPhone shows you only the unlocked Apple iPhones listings currently on obsads. 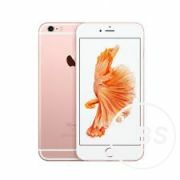 Prices are different according to the seller demand and will vary greatly depending on the generation of iPhone. You should carefully read through ad's descriptions. If you have any questions, contact the seller directly via email or contact number. You can also sort the ads by price, or ads popularity e.g. feature and urgent ads To buy the unlocked cell iPhone you can online auction, or if the seller has specified this, just pay the listed price. You will have to sing up as an ObsAds.com's member to participate in auctions and purchase and sell the items online. Refurbished and second hand iPhone 6 unlocked UK, 6Plus 16GB, 6splus Smartphone (Unlocked). The iPhone 6 is a proud follower of the Apple iPhone family with its beautiful design offered in gold, silver and black color with the lively interface, it is made for users. Simple ObsAds.com user guide, guide the online buyer and seller who wants to buy or sell our used second hand iPhone 6, 7, and all other models in UK. These questions are making confusion about online smart phone dealing.